Keeping your back muscles strong and flexible should be a crucial part of everyone’s daily routine. Too many of us complain of some form of upper or lower back pain with some suffering from both. In fact, back pain is one of the most common reasons for employee absenteeism. These aches and pains can make life a misery. Now, before going any further, you should seek immediate medical attention if your back pain is ever accompanied by fever, chills or an unexplained weight loss as this can be a sign of something more serious. For the rest of us, using a few stretches and choosing low impact exercises can be incredibly helpful. So if you suffer from Sciatica or lower back pain, try these four easy, back exercises to help minimize or eliminate your chronic back pain. 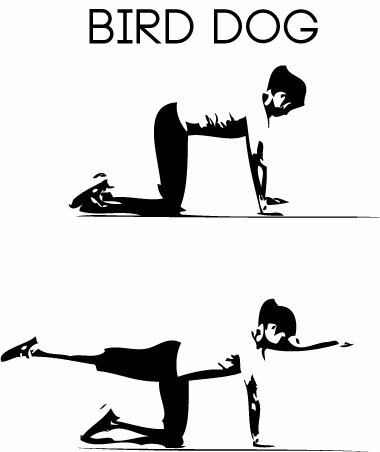 What to do: Start on all fours, keeping your knees a hip-width apart and directly under your hips. Your hands should be flat and a shoulder width apart. 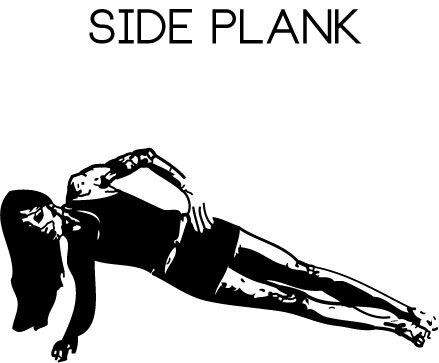 Pull your belly towards the spine by squeezing your abs. Don’t arch the back or rotate the hips. Extend your right leg back and your left arm straight ahead. Hold for 2 to 3 seconds at least, gradually increase the time if you want to make it a bit harder. Repeat 5 or 6 times, alternating sides. Who it’s good for: Everyone will see the benefit as this exercise improves muscle balance and coordination, making everyday day movements a lot easier. It will tone your glutes, upper back, lower spine and hamstrings. What to do: Lie on your back, feet flat on the floor and a hip-width apart. Keep your arms relaxed and knees bent. 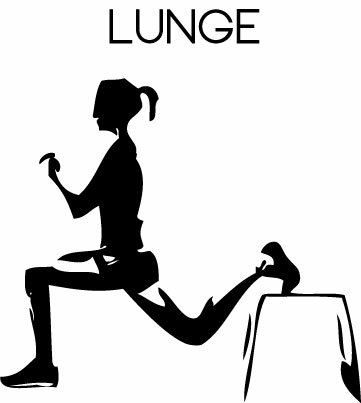 Squeeze your buttocks as you lift your hips, creating a straight line from knees to shoulders. Hold for 2 seconds then lower slowly. Repeat 10 to 12 times. Make it harder by lifting one foot off the floor and hold it up toward the ceiling, foot flexed and keeping the hips even. If you’re doing this hold the pose a little longer but repeat less often. Who it’s good for: Office workers. This little exercise will stretch the hip flexors and strengthen the muscles that suffer after spending too long sat in a chair. What to do: Lie on your right side, in a straight line and resting on your forearm. Your elbow needs to be directly under your shoulder. 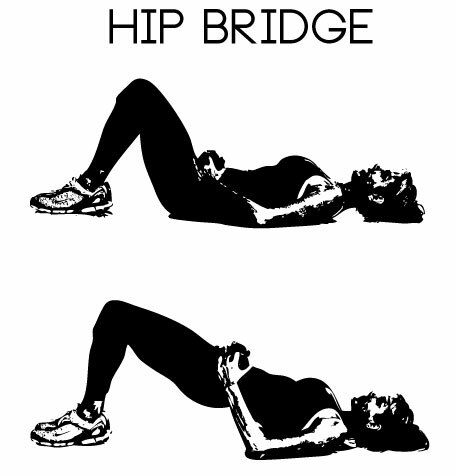 Gently contract your abdominals and lift your hips off the floor, maintaining the straight line. Keep your hips square and your neck in line with your spine. Hold for 20 to 40 seconds and lower. Repeat 2 to 3 times, changing sides. You can try lifting and lowering your top leg, holding for 5 to 10 seconds if you want to make this a little harder. Who it’s good for: People with lower back pains should hopefully see an improvement. This one strengthens your core and this will help to protect your lower back. What to do: Start in a standing position. Gently contract your abs and put your hands on your hips. Take a big step forward with you right foot. Sink down until your right knee is at a 90 degree angle, making sure to not bent it too far. Push back to a standing position and repeat 8 to 12 times without pausing. Make sure to alternate your legs. If you put your leg at an angle when you step forward this will make it harder. Try putting your right foot at a 2 o’clock position and the left at 10 o’clock. Who it’s good for: Runners and walkers should make use of this one as it improves the control of your whole body. 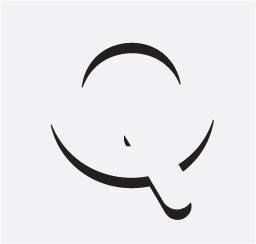 It works at the stabilizing muscles along your sides, glutes, hamstrings, quads and calves.